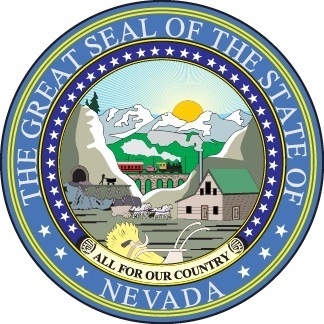 My colleague Evlondo Cooper and I just returned from a six-day fact-finding visit to Nevada, where we met with reporters and editors, civic leaders, and others. Our trip to Carson City, Reno, and Las Vegas was designed to give us a better understanding of the dynamic between the Nevada Public Utilities Commission (PUC) and the state’s largest utility, NV Energy. It is part of our ongoing Captured Regulators Initiative. The concept of “regulatory capture” was first described by Noble Prize-winning economist George J. Stigler in 1971. Although the problem is probably older than the Romans, Stigler described it as a situation in which a public agency, created to regulate a powerful industry for the benefit and protection of the public, instead is captured by the very industry it is supposed to oversee. In Arizona, the Captured Regulators Initiative has uncovered powerful, circumstantial evidence that former Chairman, now Commissioner, Bob Stump and others on the Arizona Corporation Commission are captured by that state’s powerful utility Arizona Public Service (APS) – essentially acting as APS consultants, rather than impartial overseers of large parts of the state’s economy. Now we are also turning our attention to Nevada, where Public Utility Commissioner David Noble was described by many people we talked to last week as by far the most “utility friendly” of the three commissioners. One source told us that Noble had been talking to audiences outside of the state about the threat to utilities by rooftop solar, something we will seek to confirm in the months ahead. On Wednesday, August 19, we attended a PUC meeting in Carson City that Commissioner Noble presided over. Although the meeting was largely procedural, we were surprised at how Noble lashed out at a lawyer from the pro-solar group TASC for being workmanlike during official meetings but antagonistic in public. He struck us as being remarkably thin skinned for a public official whose salary is paid by taxpayers. We begin our effort to determine if Commissioner Noble is a captured regulator with a request to obtain or review the record of his contacts with NV Energy and the utility trade association, the Edison Electric Institute. We have embedded it in this post in case you want to read it. Due to the importance of this issue to Nevadans at this phase of the state’s high-stakes energy debate, we believe these are critical questions to ask. Scott Peterson is executive director of the Checks and Balances Project, a national watchdog blog that seeks to hold government officials, lobbyists and corporate management accountable to the public. Funding for C&BP comes from pro-clean energy philanthropies and donors.